For your consideration we have a beautiful 1952 Jaguar XK120. 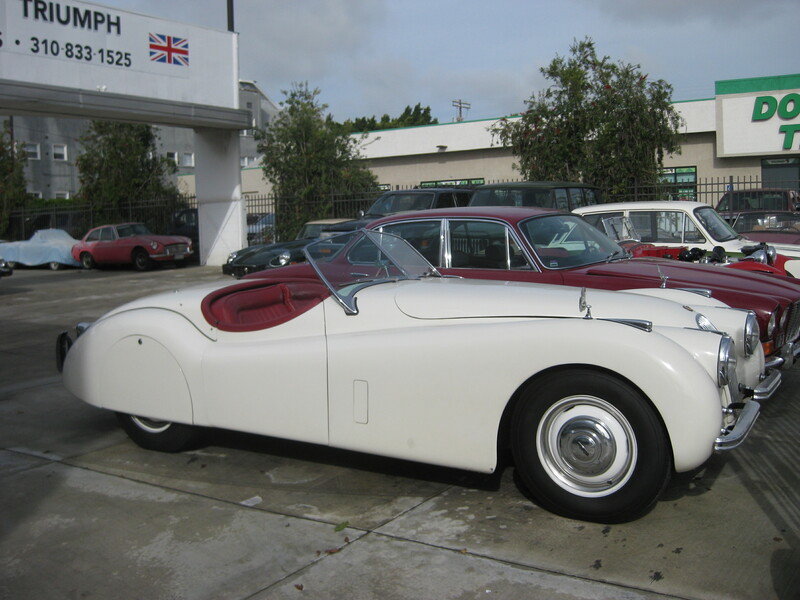 Completely restored and rust free this XK 120 was purchased at auction in 1999 by its current owner and comes with a clean California title and up to date registration. The restoration work was done sometime in the mid-90s and while it was done some time ago the car still shows immaculately. Once acquiring the car, the current owner has spared no expense in keeping this 120 in top shape with repair bills going back to his date of purchase. The Old English White paint is in pristine condition with excellent shine to it and is paired with a lovely red interior that is showing only very slight wear from use over time. All the chrome has also been refinished, and the windshield glass is nice and clear. The car also comes with a Stayfast cloth top as well as side curtains. The exterior and interior of this car is what you want when looking for a great driver quality car. 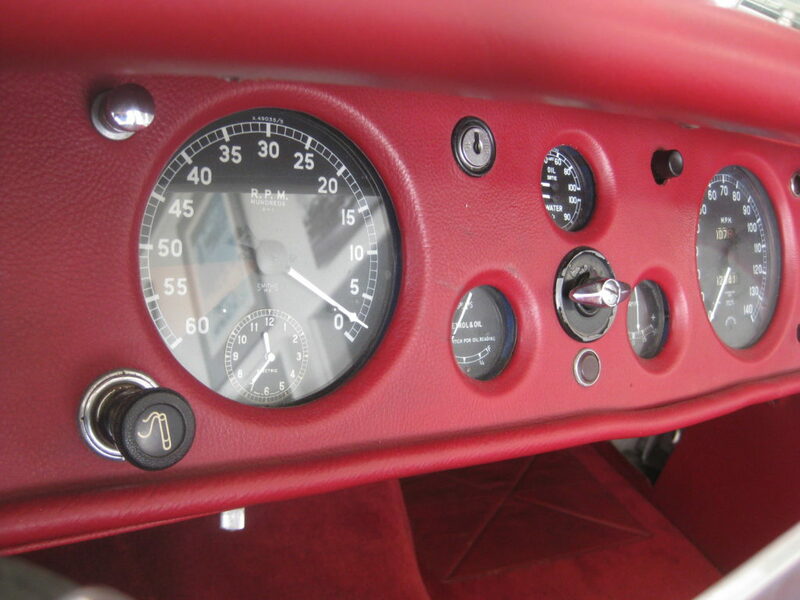 Mechanically this XK 120 is very sound. Since its purchase the car has been checked over, tuned, and completely serviced and expertly maintained. All service records will be included in the sale. From cold this Jaguar starts right up and settles into a smooth idle once the automatic chokes kick off. The engine sounds strong and healthy without any alarming noises. The 4-speed manual gearbox is nice and tight without any unwanted vibrations, grinding of gears, or rattling. The suspension feels great and the brakes are in good working order as well. Electrically, the headlights, tail lights, indicators, and windshield wipers all function. All gauges are operational and read accurately. 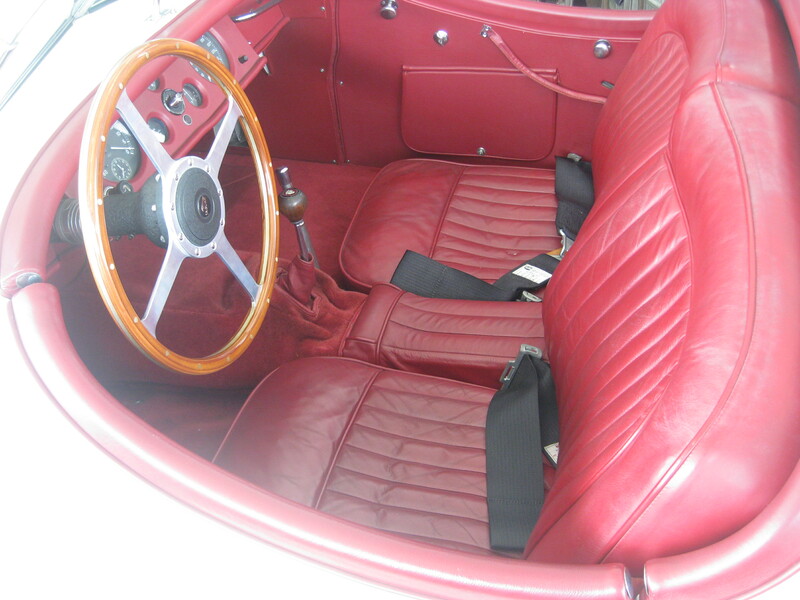 To sum up, you are getting a mechanically sound, and very attractive Jaguar XK 120 that has had all the necessary repairs carried out to make this a superior restored/refurbished version that is roadworthy and road ready! Essentially all this car really needs is someone to drive it. If you have any questions or would like to make an appointment to see the car in person please feel free to contact me 7am-5pm Monday through Friday. Thanks for looking!